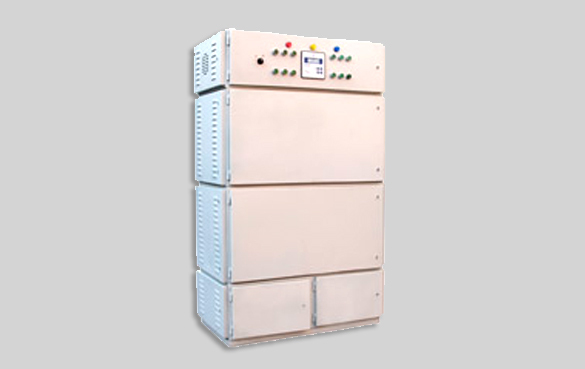 Power ware compact substation (CSS/PSS) consists of in house built metal enclosure, MV switchgear, transformer, LT switchgear, power factor correction system and other site specific requirement. Powerware compact substation is a tailor made product which can be also designed as per customer limitation and requirements. CSS will occupy only ¼th of the space in comparison of open conventional installation. It can be installed anywhere in basement or on the rooftop. Compact substation solves many considerations of architects like aesthetics, safety, space requirements & easy and quick installation. Our CSS are also available with our 4HD model transformer so that our CSS will be more reliable, and helps us and as well as nation to save energy.